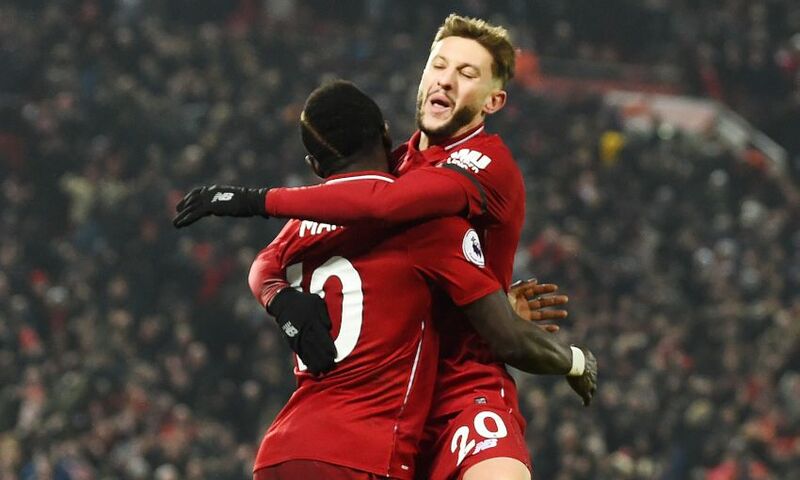 Liverpool ultimately took three points from a remarkable, and often nerve-wracking, 4-3 victory over Crystal Palace at Anfield on Saturday. After a single goal for the visitors in the first half, six were split between the teams after the break – with the Reds ultimately triumphant by virtue of their fourth goal, Sadio Mane’s curled strike. The importance of the events that unfolded in the second half at Anfield may only be fully understood at the end of the season. Trailing after 45 minutes to Andros Townsend’s neat finish at the Kop end, Liverpool needed a strong response – and it began more quickly than Jürgen Klopp could legitimately have hoped. Salah cushioned a strike past Julian Speroni just 56 seconds after the referee restarted the action and prompted a flurry of goals that ensured the match was in the balance until, literally, the final seconds. Roberto Firmino, James Tomkins, Salah again, Mane and Max Meyer all registered on the scoresheet amid a chaotic passage of football, which nevertheless ended with the Reds three points better off and still clear in the Premier League. When the final whistle finally – thankfully – put the drama to bed, Klopp’s fist pumps in front of the Kop told you everything. Both of the Egyptian’s goals came courtesy of considerable slices of fortune. Virgil van Dijk’s hopeful punt from distance created the first, the ball looping off a Palace man and towards the unmarked Salah inside the area, though the calm finish that followed exhibited his composure and class. His second came via a Speroni error, the Eagles goalkeeper pushing James Milner’s cut-back from Fabinho’s raking pass over his own head and Salah rushing in to tap the ball in from the goalline. The double lifted Salah clear in the race to retain his Premier League Golden Boot, on 16 goals, and moved him onto 50 in the English top flight – 48 for Liverpool and two for Chelsea – in just 72 appearances. “World-class,” was Klopp’s succinct description of his No.11 post-match. Speaking of goals and statistics, Firmino’s second-half strike brought up a milestone for Liverpool in the Premier League era. With his shuffle and shot – a trademark from his playbook – the Brazil international claimed the 1,000th goal scored by the Reds at Anfield since the competition’s inception. The first? Mark Walters’ effort that kick-started a 2-1 comeback win over Sheffield United on August 19, 1992. 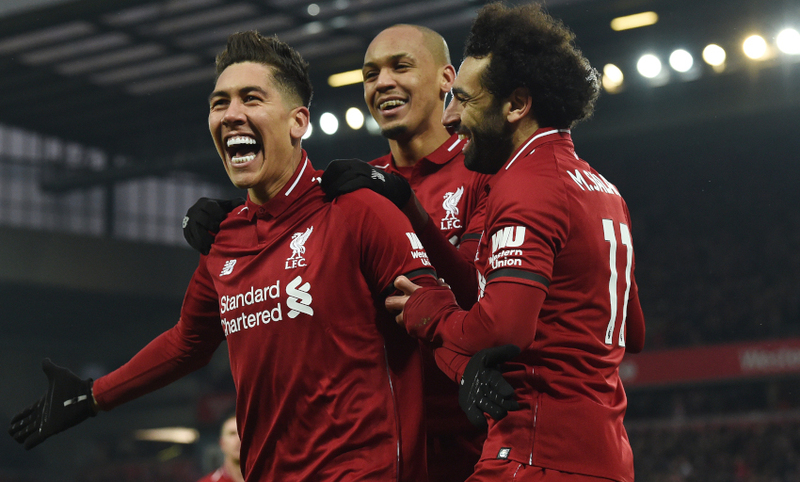 The hallmark of Liverpool’s Premier League form this season has been control, their hitherto formidable defensive record laying the foundations for results both slender and emphatic. This, clearly, was something different – a test of character for a team so accustomed to getting in front and staying there. They answered the challenge of a half-time deficit, they answered the challenge of seeing their subsequent lead levelled at 2-2, and they answered the challenge of Palace’s refusal to give in. And they got their reward. 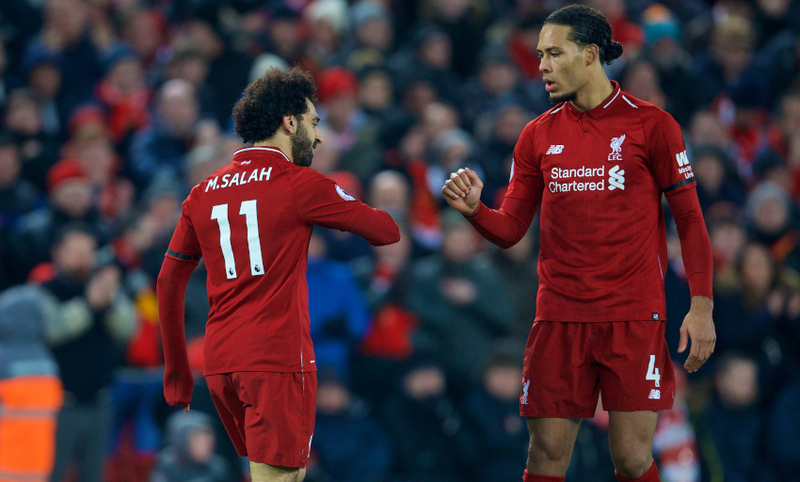 Liverpool’s determination did not just yield three crucial Premier League points on Saturday, the result set a new club record as Klopp’s men continue to set an astonishing pace at the summit. Their total of 60 from 23 matches is the highest the Reds have ever accrued at this stage of a top-flight campaign, bettering the sum of 59 in 1893-94 and 1987-88. This was their 19th victory of the term and further extended the unbeaten run in the league at Anfield, which now stands at 32 matches since Palace won here in April 2017. And so they re-established a seven-point advantage in the division, with closest rivals Manchester City set to take on Huddersfield Town away from home on Sunday.